After months of pumpkin spice lattes, pies, and everything else you can imagine, your taste buds and menu are ready for a change of pace. Well you can rejoice because it’s the beginning of the holiday season, which also means the start of all things peppermint flavored. From peppermint affogato to candy cane Oreo truffle cones, there are an abundance of recipes featuring this winter flavor that you can add to your menu. Whether you're looking for a fun winter cocktail or an alternative to peppermint bark, we hope your guests feel merry after trying these delicious desserts and drinks. 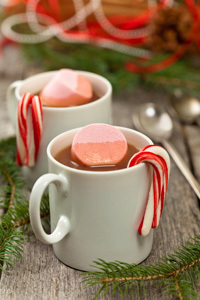 So this winter, “leave a peppermint stick for old St. Nick” and serve up some holiday cheer in your restaurant with these unique peppermint recipes!